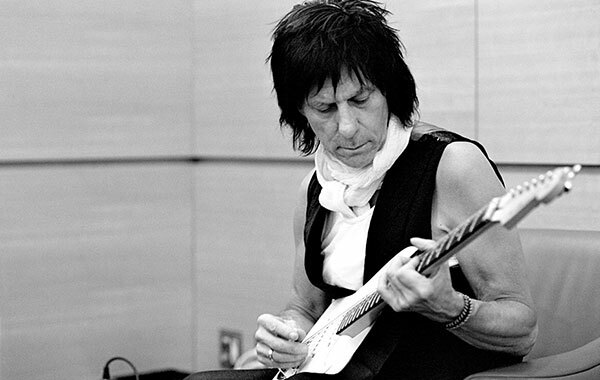 LOS ANGELES – Jeff Beck, rock guitarist extraordinaire, captured three Grammy® awards at the star-studded ceremony held yesterday at the Staples Center in Los Angeles. His latest studio album, Emotion & Commotion, was nominated for five Grammy awards, making him the most nominated artist rock artist this year. Beck won Best Rock Instrumental Performance for “Hammerhead” and Best Pop Instrumental performance for “Nessun Dorma”, both from Emotion & Commotion. This marks only the second time an artist has won Grammys in both of these categories in the same year. The first time was in 2006 by guitar legend and Beck mentor Les Paul. Beck also won for Best Pop Collaboration With Vocals for “Imagine,” his collaboration with Herbie Hancock, Pink, India.Arie, Seal, Konono No. 1 & Oumou Sangare. Beck has previously won five Grammy awards. After finishing the tour in San Francisco, CA on April 9, Beck will re-join his celebrated Emotion & Commotion band (Jason Rebello, Rhonda Smith, and Narada Michael Walden) for a tour of North America beginning on April 13 in Salt Lake City. The tour will also include stops at Nashville’s famous Ryman Auditorium and Beck’s second appearance at the New Orleans Jazz Festival as well as a performance at the West Palm Beach Sunfest on May 1.